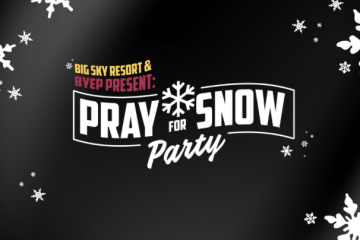 Help generate good karma for ski season this winter by attending the Big Sky Resort Pray for Snow party, benefitting Big Sky Youth Empowerment. 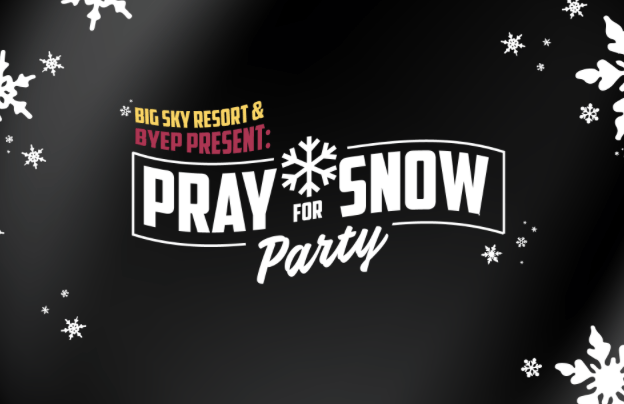 Big Sky Resort and Big Sky Youth Empowerment (BYEP) are kicking off another unforgettable winter season by hosting a Pray for Snow Party at the Rialto in Bozeman. Pray for Snow Party highlights include live music from Paige and The People's Band, a live raffle with a chance to win two Big Sky Resort Gold Season Passes, snowboards, skis, and a little piece of history - a chair from the old Shedhorn double chairlift. Big Sky Resort will also be on site for season pass printing and sales, plus an exclusive buddy pass offer. Raffle tickets for the two Big Sky Resort Gold Season Passes can be purchased in advance at go.byep.org/raffle. All raffle and music admission proceeds directly support BYEP.